184) Woo-Hoo! 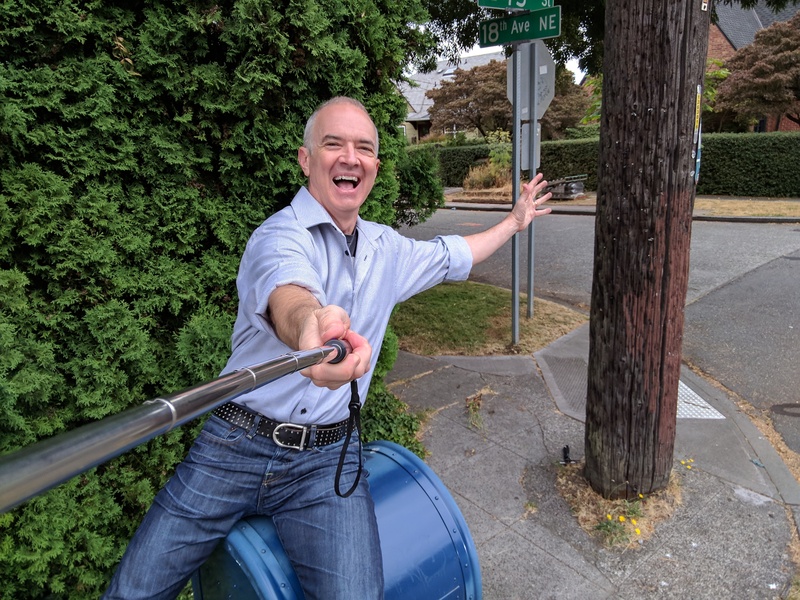 Yes, I’m always happy to do a mailbox selfie, but clearly something is going on in this photo that is adding to my usual excitement. Well, it could be that while I was snapping this photo, another photographer was across the street documenting this whole crazy scene for the Stranger! That’s right, my strange obsession has deemed me to be worthy of a write-up in their Person of Interest column. 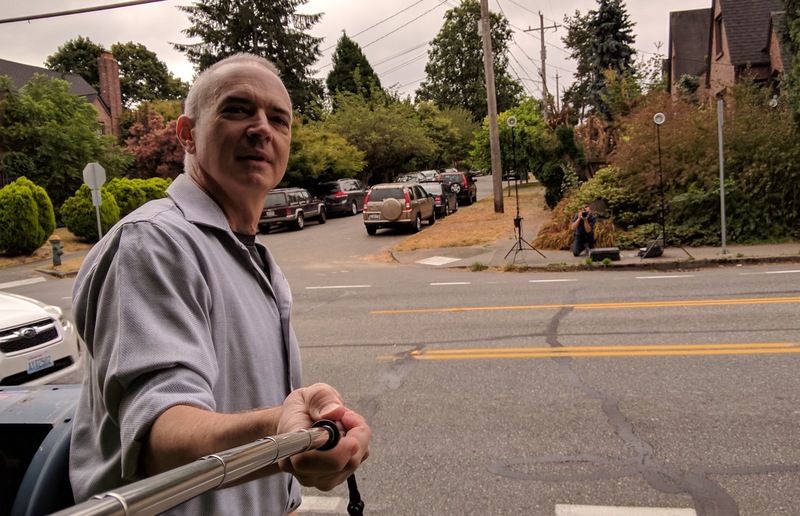 You can check it out here: Check it out, I even snapped a freaky meta picture of me being photographed while photographing. Trippy, man. I just realized that the Stranger photographer totally forgot to get a model release from the mailbox. Whoopsie!